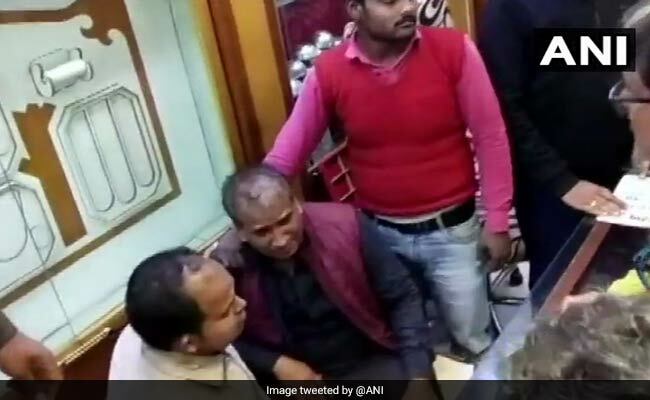 The accused came in a car and held hostage the staff and the owner of Surbhi Jewellers in Hajipur. Six persons looted gold and silver ornaments worth Rs. 2 crore from a jewellery store in Bihar’s Hajipur on Saturday. They came in a car and held hostage the staff and the owner of Surbhi Jewellers in Hajipur. Krishna Soni, the owner of the jewellery store alleged police negligence in the matter and said it did not take any action even after being informed about the loot. Mr Soni claimed that there was no police offer to hear his grievances when he reached them. People accompanying Mr Soni raised slogans against the police personnel. Later, police filed a complaint based on a CCTV footage of the incident. Police has conducted raids at several place in the probe.